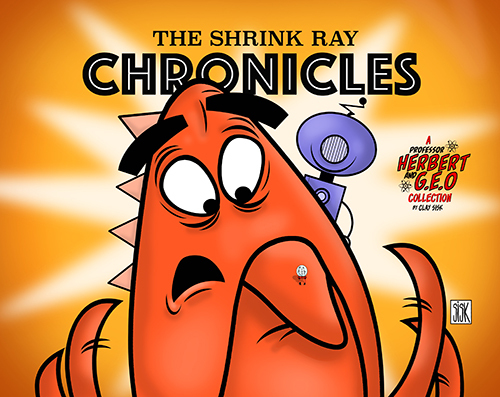 Determined to find out what is bothering his best pal G.E.O., Professor Herbert shrinks himself to microscopic size and travels to G.E.O. 's brain...but things don't go as planned! 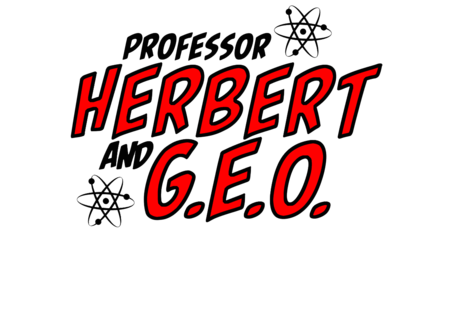 This is the very first collection of Clay Sisk's daily comic strip "Professor Herbert and Geo." It’s Christmas time in Centerville and there's no snow in the forecast! 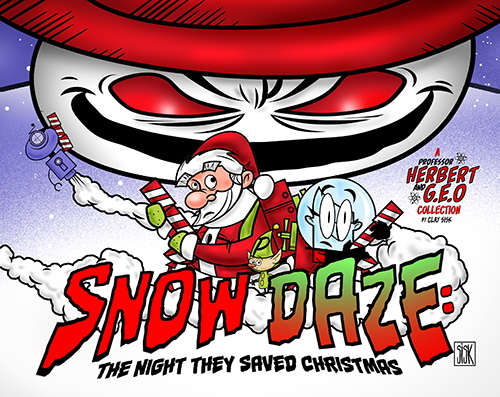 In a desperate attempt to avert this disaster the Mayor enlists Professor Herbert to find a way to make it snow in time for Christmas! Prepare to embark on your new Christmas tradition! 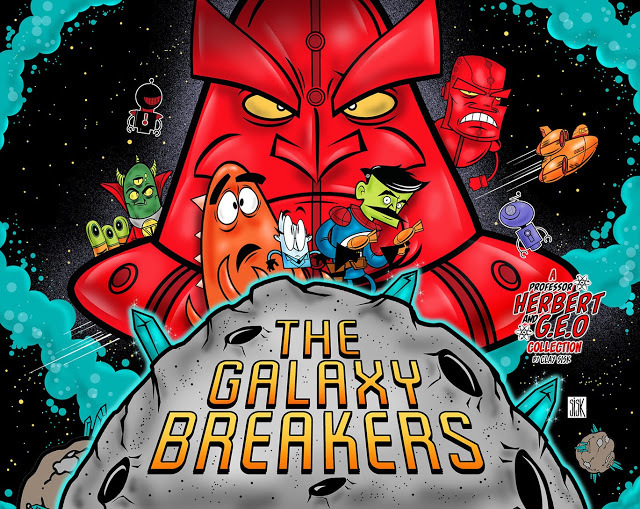 The third collection of Clay Sisk's "Professor Herbert and G.E.O." 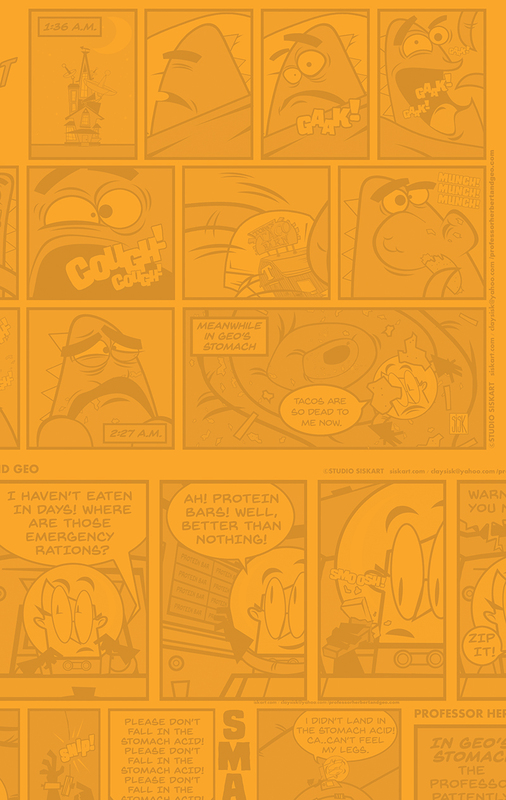 comic strip. In order to power his snow cannon, the Professor obtains the rare element ABSURDIUM from deep space. Soon after, the owners want it back! 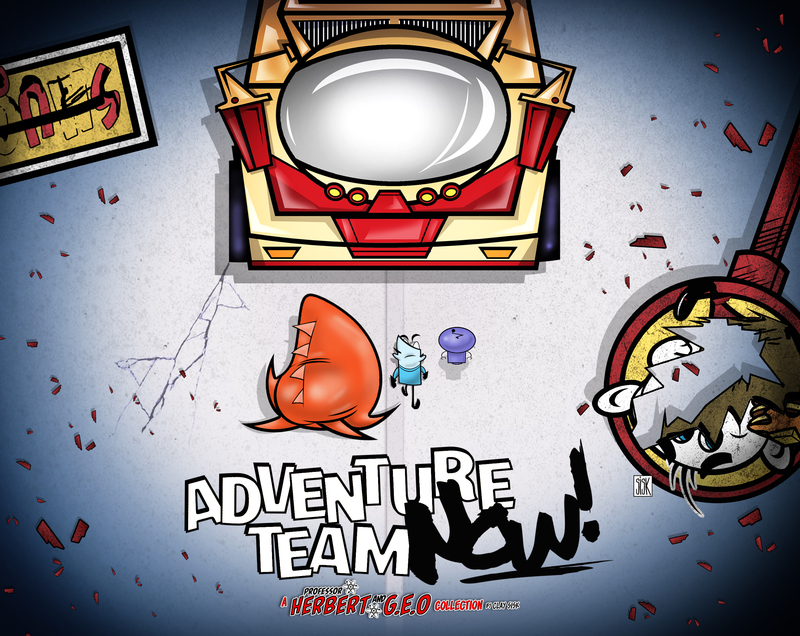 Prepare for intergalactic adventure! Finally taking a much needed vacation, Professor Herbert, GEO and Blurb hit the road in search of the last SMUCKEY'S restaurant in America!